It is truly a magic of nature when you see the orange heads of baby langurs popping out from their mothers’ black arms (in case of Hatinh langurs). All of these 5 infants were born at EPRC and now are grown-ups, healthy and strong – waiting for their possible release days in the future. The baby langurs may look alike, but if you look more closely, you will spot out some slight differences. 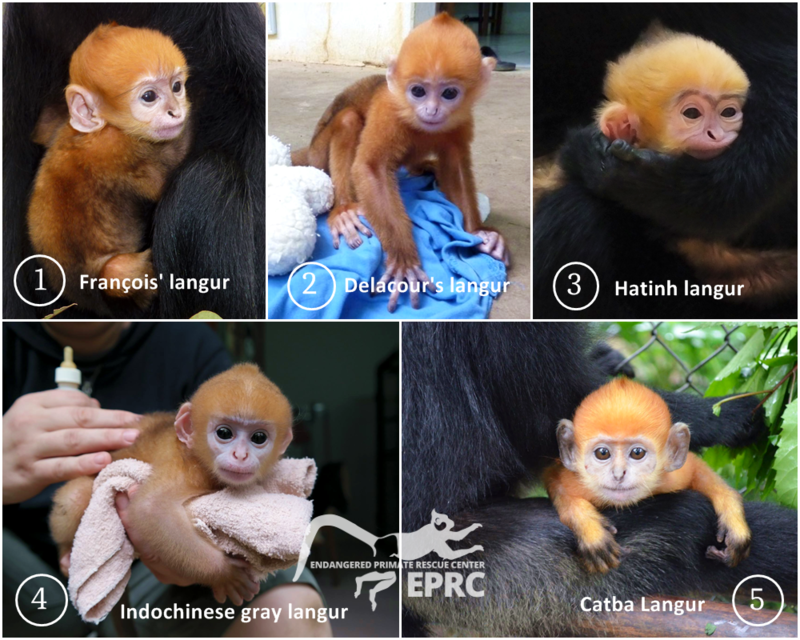 For douc langurs specifically, they look quite identical to their parents already when they are born. That is why they can be totally spotted out of a baby langurs group.